She looks bored and IMO this is her worst so far. 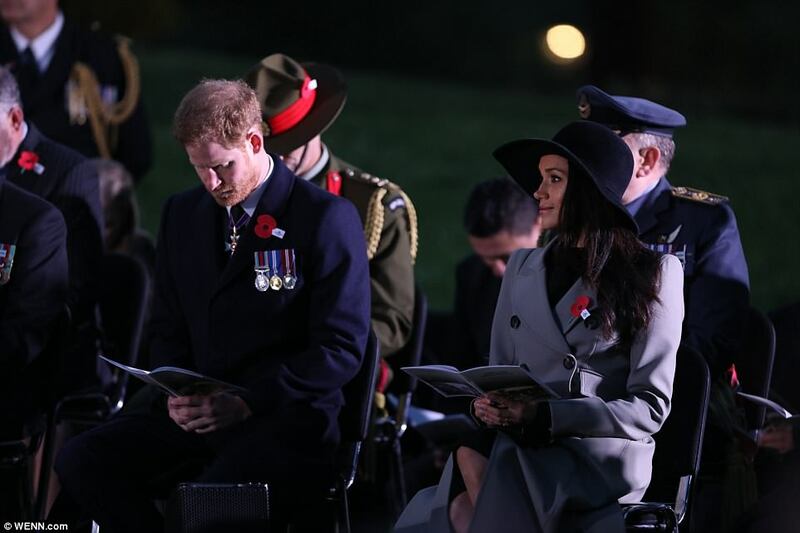 Meghan wore a black, large brimmed felt hat, a cream double-breasted coat, which is believed to be a bespoke £1,140 Matthew Williamson design, and a long-sleeved black midi dress. The former Suits star accessorised her sombre look with £282 Sarah Flint suede heels and a £625 Gucci Dionysus velvet clutch bag. I don't think she looks bored. She's at a memorial service, isn't she? She's not supposed to smile. 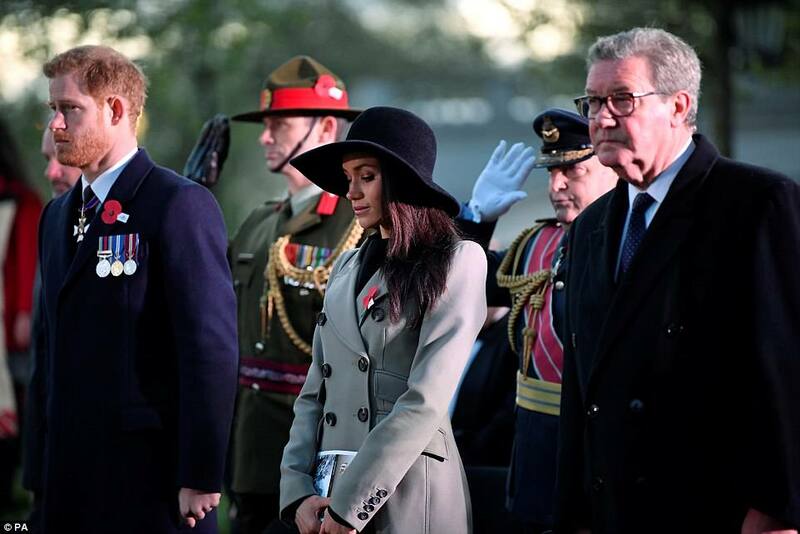 I think she is appropriately dressed in the coat and hat. HeartShapedBox, C_is_for_Cookie, Brookie and 1 others like this. She was also at a memorial service 2 days ago and she seemed more engaged. But perhaps because she was criticized for the sleeveless dress and lack of hat she came up with this. 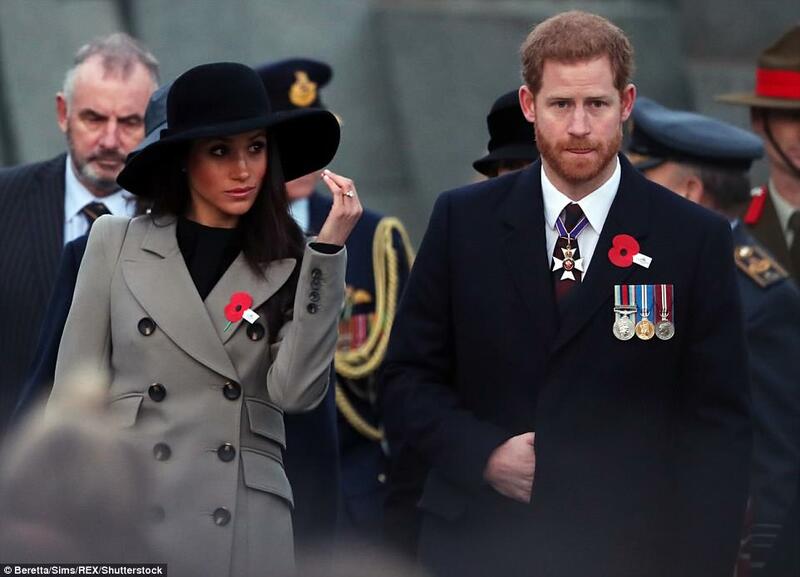 Best outfit so far,though the coat is loaded with extra buttons and pocket flaps.All else just fine,i love the heels of her pubs and her make up is very flattering.She is turning into a royal puppet pretty fast! ^ Well she needs to. A Hollywood puppet (or poppet) is worse. Her nose looks very odd here. Maybe because she lost too much fat in her face? I love the coat and the hat. She looks pretty. I know her hair is such a source of grief for us here at GR, but for her "do nothing" looks I definitely prefer the down version. All you can do at life is play along and hope that sometimes you get it right. Yes, it looks very `nose jobby' now. I like the coat and the hat but not together. she looks good but i don't like the coat. the cut's ok but the colour and material are weird. 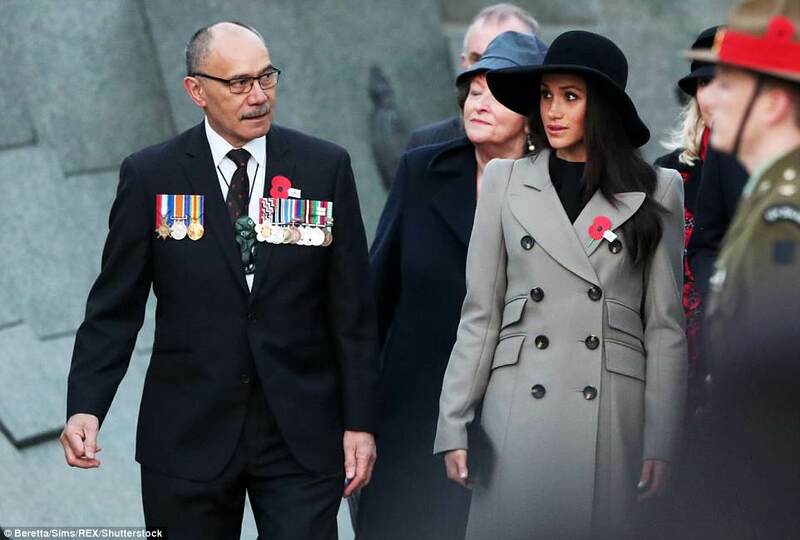 looks like a gestapo gabardine coat!